day 4: the wrong bus. today was stupid from start to finish. it was supposed to be an adventure day to the mall, with the highlight being finally getting my permit and admitting to myself and others that i am ready to learn how to drive. instead, i ate a big bowl of leftover mac & cheese (this recipe was ridiculously delicious, and i am not easily impressed by impostor cheese) and dicked around on the internet. one of the main benefits of living in a cold state is that the winter merchandise goes on sale before it actually stops being cold. i wandered into target today in hopes up purchasing more leotard appropriate underpants for my show (aaaaaaaaaah thong! ), and unearthed some pretty awesome bargains. if you know me at all, you know that i’m constantly in pursuit of cheap tights (which are virtually impossible to find), as pretty much every pair i own gets instant runs at exactly dog height (mysterious). i do love target tights, but at $5 a pop, they’re a bit pricey for something that is essentially disposable. 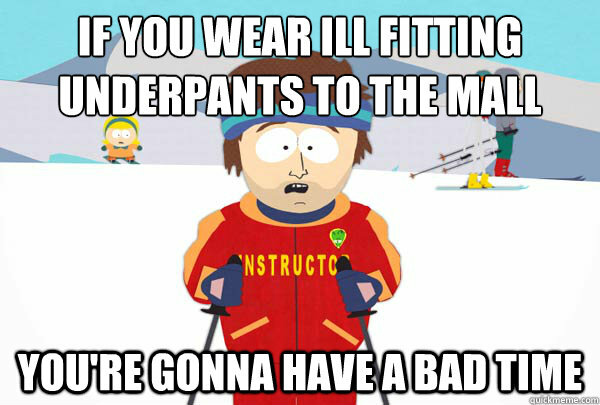 today, i found a big bin of discount underpants, tights, and socks in the activewear section. i bought 7 pairs of tights marked down to $1.25 each (cheaper than the $1.98 tights at goodwill! 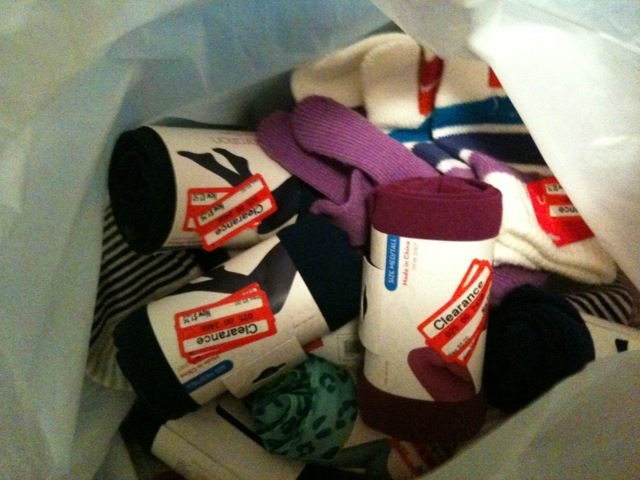 ), and 3 pairs of short socks for $.25 each! i also snagged some magic gloves (2 pairs) for for $.75 and a pair of slippers that i’d been coveting since pre-xmas for $2.25 (i knew that if i held out, they would come down!). oh, and some weird german mascara for $2. not exactly ground breaking news, but if you happen to be in the target area, and your underwear and/or sock drawer is looking a little scant… it could be good. oh, and marden’s just got a big shipment of high endy underwear on sale for 70% off. badgley mischka silk g-strings say go. go now.